Private rental is an attractive option because it is such a flexible one. You can be living in the property within a few weeks of spotting it and the length of the tenancy can vary from a number of years to just a few months, making it a good solution for people moving around the country for work and people saving up a deposit for a property of their own. Private landlords normally market their properties at the market price and their right to increase the rent depends on the type of tenancy. mall holding deposit to the letting agency in order to reserve the property and get it taken off the market. Assured Shorthold Tenancy Agreement (AST) has been the most common form of tenancy agreement since 28th February 1997. Despite its name, the agreement does not necessarily have to be short-term – it can continue for as long as both parties are happy, but the landlord must give at least two months notice if he wishes to terminate the agreement. There is no minimum term but the tenant has the right to remain in the property for six months. The most important part of this agreement dictates that the landlord has the right to repossess the property at the end of the agreed term. If the agreed term is for three years or more then a deed must be drawn up by a solicitor. An Assured Tenancy agreement is usually issued by a housing trust or housing association. These are normally very secure in that, as long as you don’t break the terms of the tenancy agreement, you will be allowed to continue living in the property. A Regulated (or Protected) Tenancy Agreement is likely if you moved into a property before 15th January 1989. This type of tenancy offers the most amount of protection against rent increases and eviction. More information on this sort of tenancy agreement can be found within the publications section of communities.gov.uk. Just as you will be keen to make sure that you have a suitable tenancy agreement to protect your rights, the landlord will be keen to establish whether or not you are a suitable tenant for the property. 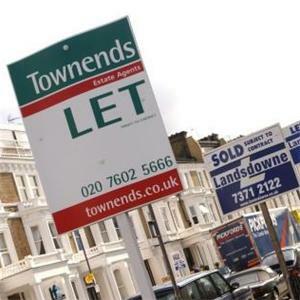 This will probably be done by a letting agency on behalf of the landlord and, with your consent, will consist of some checks into your background and recent credit history. They may ask for an administration fee, which will be non-refundable if you fail the checks, but this will vary between agencies. You will probably be asked to produce documents to prove your identity, references from previous landlords, details of your employment, bank details and evidence of a good credit history. In the event of these searches throwing up a potential risk for the landlord, you may be asked to provide a guarantor. A guarantor will be liable both legally and financially for any defaulted rent or damage to the property during your tenancy. To secure your desired rental property it will be necessary to put down a deposit. This deposit amount is normally between one to two months rent and is held for the duration of the tenancy. This currency is a safeguard for the landlord to guard against the cost of replacing or repairing property damaged by the tenant. The question of exactly when the deposit can be held onto by the landlord is a hotly disputed area of the private rental process. On the 6th April tenancy deposit law was introduced to guard against landlords and letting agencies unfairly withholding deposits. The inventory is a very important document, particularly for the tenant, because its accuracy will have a direct bearing on how much of the deposit will be refunded at the end of the tenancy. It is basically a list of all the items contained in the property and the condition that they are in. It will be prepared by the landlord or letting agency who should go through it with the tenant on the day he/she moves in. As a tenant you must give this your full attention, signing every page to confer its accuracy and taking photographic evidence if you deem it necessary. Some landlords will insist on regular inventory checks, every three months for example, but some will not check it again until the day that you move out. The landlord can ask a tenant to leave after six months, providing the agreed fixed term has expired. He or she must give two months notice in writing. The landlord can also apply to a court to end the tenancy at any time on certain grounds. These include having at least two months rent outstanding and anti-social behaviour. If a tenant has not left by the set date, the landlord can force the issue by applying to a court for a possession order. If the tenant has still not left by the date set in this order then the landlord can take further court action in the shape of a warrant for eviction. The court will then appoint bailiffs to carry this out. If you have a fixed term tenancy and wish to leave early, you can only do so if the landlord agrees to this or if there is a “break clause” in your tenancy agreement. If there is no such agreement and the landlord will not agree to your early release from the fixed term then you will be contractually obliged to pay the rent for the entire length of the fixed term. However, this is not necessarily the case, as the landlord then has a responsibility to try to cover his or her losses in other ways, notably by trying to re-let the accommodation. In order to evict you from the property, the landlord must have a possession order from a court of law. If you still have a legal right to live in the property then he or she cannot try to drive you out. Problems of this nature can be reported to the tenancy relations officer at your local authority. and the tenant’s right therein.